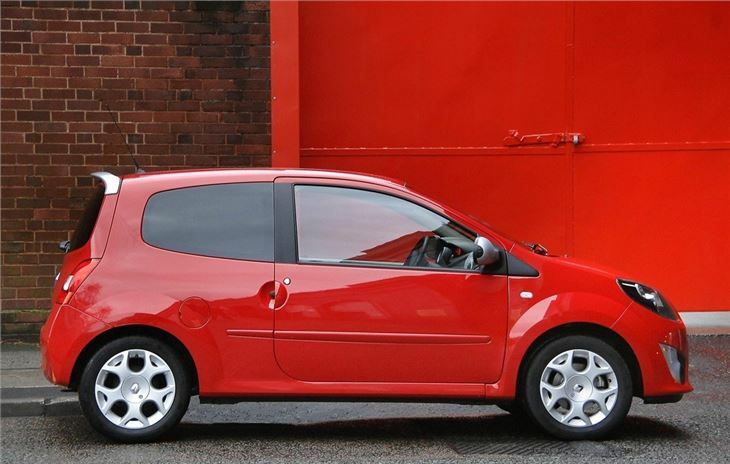 Quite cute and very roomy for four. Not a bad drive. 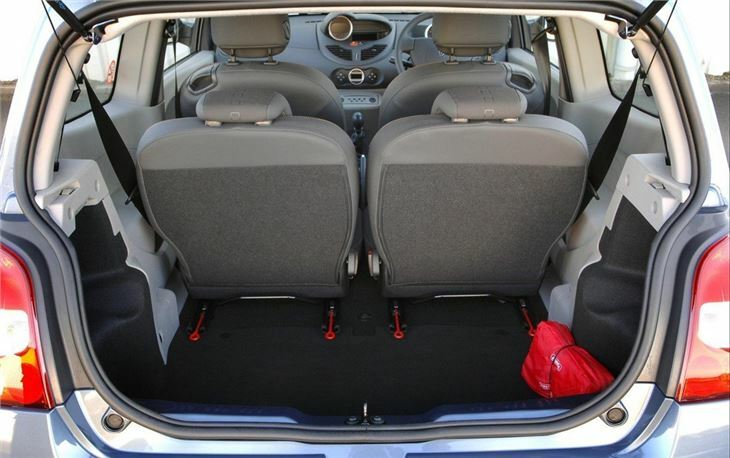 Brilliant sliding rear seats. Sharp steering only 1.6 turns lock to lock. Lacks the practical charm of the original and cute looks of the original. Report of failure of pedal box of 2009 Renault Twingo at 43.077 miles. Replacement cost £208. 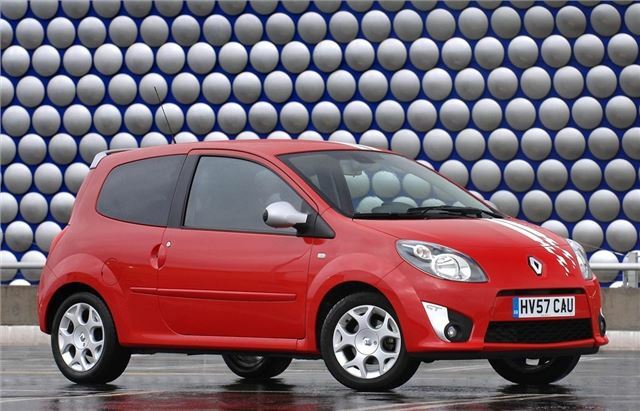 The biggest enemy of the new Twingo is the Fiat 500. 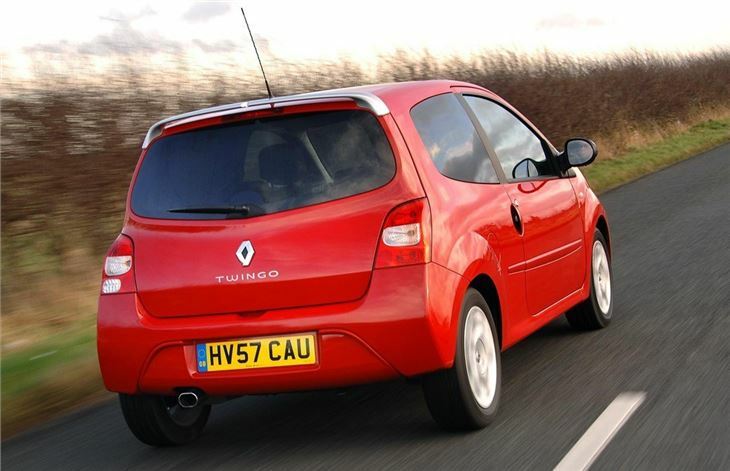 Twingo prices are a bit lower, starting at £7,500 for the base model, rising through £8,375 for the Dynamique, to £9,995 for the TCE 100 GT tested here. 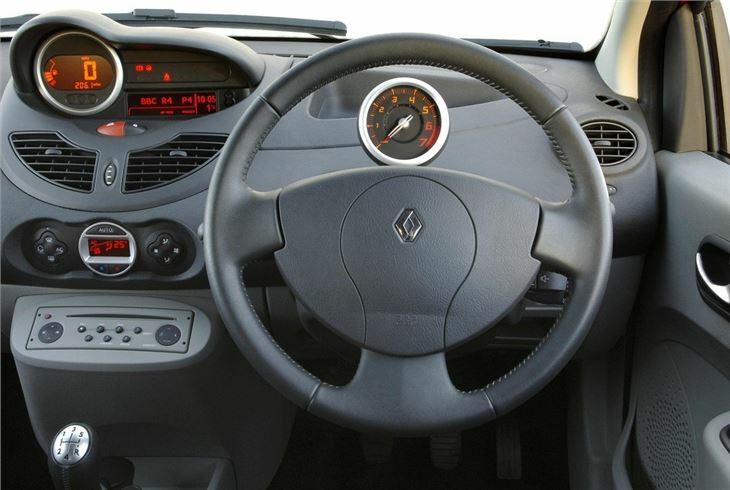 So it's not bargain basic and cheap like the original Twingo that found lots of friends for its 1959 Mini simplicity, low price and Kermit-like cuteness. 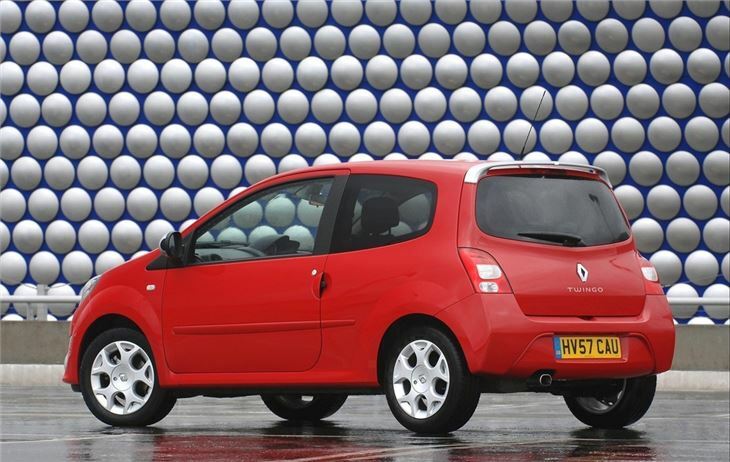 Starting at £7,500, there's obviously a bit of money to be made from the new Twingo, for Renault and its dealers alike, if they can find a market for the car. For the money... really quite good. 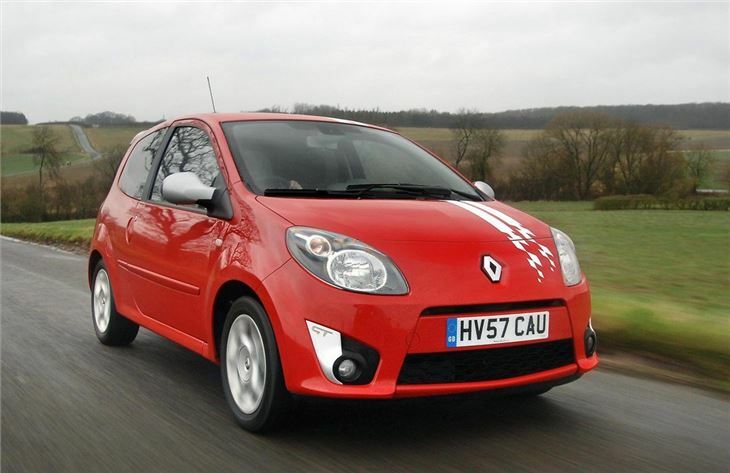 Brilliant first car with sporting feel and urge, and a low insurance group!